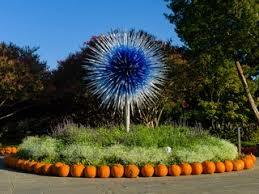 Enjoy a privately guided tour of the magnificent Dallas Arboretum and Botanical Garden; 66 acres of finely manicured grounds featuring stunning displays of seasonal color. Many smaller gardens, art installations and numerous areas within, combine to create one of Dallas’ most visited attractions which engage visitors throughout the year. Relax and enjoy your orientation on the tram ride along “The Paseo”, this meandering pathway serves as the central walkway of the Dallas Arboretum and Botanical Garden. The path begins after the Bella Via and concludes near Fogelson Fountain, which was donated by the late Greer Garson. Along “The Paseo”, visitors can stop for photo opportunities and fun at the Magnolia Glade, the Crape Myrtle Allee, Toad Corners Fountain, the Shadow Garden and the Pecan Grove. Stop by the Boswell Family Garden, which is surrounded by the Gazebo, Octagonal Fountain and Magnolia Allee. As guests enter the garden from the west, an overlook offers a beautiful vista of White Rock Lake and the surrounding gardens. 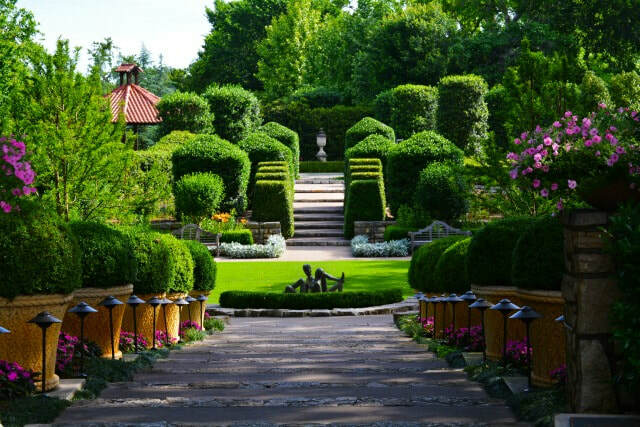 Stroll the Woman’s Garden, comprised of several smaller outdoor garden "rooms" including the Pecan Parterre and the Poetry Garden which features a sunken garden of roses. It boasts alluring features such as a native Texas limestone bridge, a 140-foot hanging garden, and a wellspring surrounded by towering Dawn Redwoods. These two beautiful gardens were designed to celebrate the strength, courage, creativity and nurturing demeanor of women. With its shady canopy, the Pecan Grove serves as the centerpiece of the famous fall festival, Autumn at the Arboretum where over 50,000 pumpkins, gourds and squash come together to form the nationally acclaimed Pumpkin Village. Spring ushers in a stunning sight as over 100 blooming Japanese Cherry Trees. Visit the Lay Family Garden filled with hundreds of perennials and woody plants. One of the most popular features is the native limestone waterwalls with waterfalls. Complementing the waterwalls is a grotto with a 12-foot waterfall. The Water Gardens include a large lagoon for aquatic plants, a stream and a Koi pond. Tour the DeGolyer House, listed on the National Register of Historic Places as well as the Texas Register of Historic Places. Located within the DeGolyer Gardens, a treasured area, is Nancy’s Garden, blanketed by soft pink crape myrtles and azaleas and is filled seasonally with pastel annual color. With hundreds of blooms the Rose Mary Haggar Rose Garden creates an incredible backdrop for many an intimate wedding held in this charming space.